What Is Infinity in Math? In math, infinity is a concept that refers to an endless quantity that's larger than every real number. The symbol for infinity resembles a sideways number eight. Students are introduced to the concept of infinity during or before middle school, but they usually don’t use infinity much until calculus. Although infinity is larger than any number in existence, it is not a real number. Unlike real numbers in which you add two numbers to produce a larger number such as 2+5 = 7, if you add infinity + 1, you get infinity. If you add infinity to infinity, you will see that infinity + infinity = infinity. Infinity is not only enormous, it is also endless. 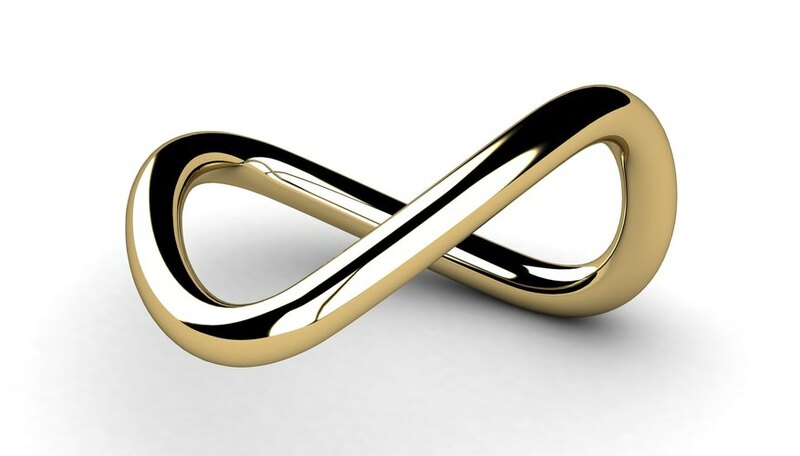 You cannot measure infinity; add any quantity to infinity, and you will always get infinity. Although infinity isn’t widely applied before calculus, math has many examples of infinity. For example, the sequence of numbers -- 1, 2, 3 and so on -- extends infinitely. When you write certain fractions in decimal form, they will repeat infinitely. For example, a calculator will show that 2/3 equals 0.6666, but the row of sixes in the number 0.6666 doesn’t end after four digits. The sixes in the number 0.6666 continue as far as a calculator screen will allow; in theory, the number 0.6666 extends forever -- infinitely. In geometry, a line segment has two distinct endpoints – points A and B. A line, however, will extend infinitely in either direction. Math Is Fun: What Is Infinity? What Is a Nonzero Number? What Does E Mean in Math? Harris, Amy. "What Is Infinity in Math?" Sciencing, https://sciencing.com/infinity-math-6460119.html. 24 April 2017. What is the Identity Property of Multiplication?